Sir Edward Coke (1552–1634) successfully defended English liberties against the royal prerogative of the Stuart kings and virtually single-handedly established the rule of law for the English-speaking peoples. Coke’s view of English law has had a powerful influence on lawyers, judges, and politicians through the present day. It was Coke’s astonishing task to set down the whole of the law—from Magna Carta to land law to criminal law, and the system of court procedure, from the High Court of Parliament down to the lowest courts of the realm—for students, lawyers, and laymen to understand it. The Institutes derived their authority not only from Coke’s personal influence but also, in part, from the great authority accorded the Reports, which themselves solidified the modern understanding of case law. 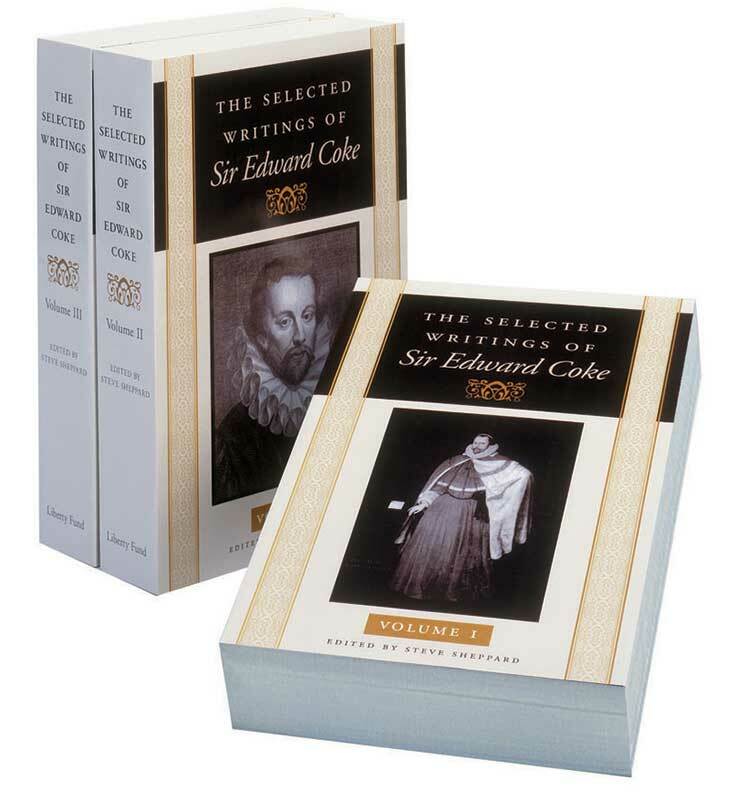 The Liberty Fund edition of The Selected Writings of Sir Edward Coke is the first anthology of his works ever published. Steve Sheppard is Associate Dean for Research and Faculty Development and the William H. Enfield Distinguished Professor of Law at the School of Law, University of Arkansas. Summary contents; annotated contents; note on the text, editions, and translations; introduction; chronology; selected readings; table of regnal years; index.